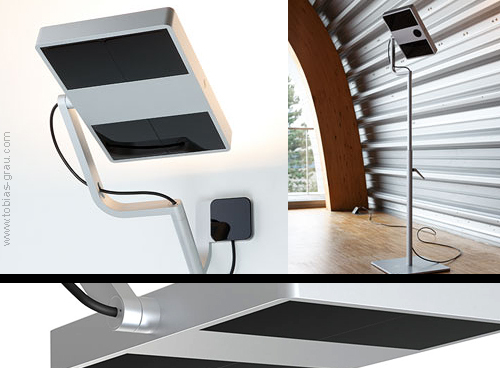 XT-A STUDIO is the new LED luminaries range to be created within Tobias Grau office lighting segment. Based on a purist approach to the new constructions and designs that LED technology both requires and permits, the flat aluminium and polycarbonate head introduces a new aesthetic language. The quality of the floor, wall and ceiling luminaries lies in their reticence: they integrate themselves with the architecture in a very natural way. HOME version: 34W, 970lm, 2700K warm white colour. OFFICE version: 34W, 1350lm, 3500K white. Dimensions: 310x 220x 480 mm.